Elkhart Brass is the industry's leader and most experienced manufacturer of state-of-the-art firefighting equipment and fire protection equipment and is known for its commitment to quality, value and customer service. Used in virtually every aspect of firefighting, they manufacture over 2,000 built-to-last fire protection products. 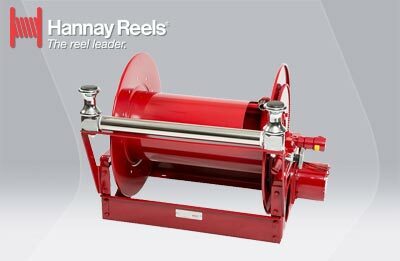 Found in fire departments around the world, their products have been trusted by firefighting professionals for over 115 years. 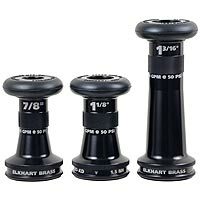 Elkhart Brass combines experience, dedication, and passion to equip firefighters with the absolute best in nozzles, monitors, and other firefighting equipment. 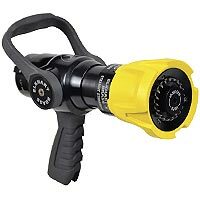 Elkhart’s robust lineup of smooth bore, fixed, variable and automatic fire hose nozzle options encompass all water flow capabilities. 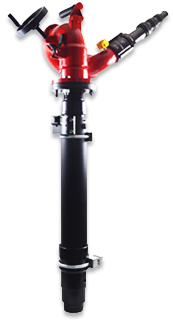 The Select-O-Matic, one of Elkhart’s popular nozzles, automatically adjusts water flow to maintain effective pressure and a consistent fire stream in all flow ranges to attack any firefighting need. ElkhartSales.com is your complete source for Elkhart Brass Firefighting Equipment. Our knowledgeable sales staff is here to help you find the right Elkhart Brass Product to fit the job. Contact us today at 727-835-0657 or Toll Free 800-761-4298. 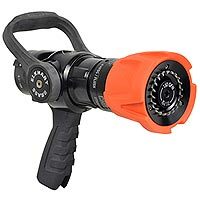 Elkhart Brass introduces the NEW XD Series Fire Hose Nozzle Line and it takes the industry standard for fire hose nozzles to a whole new level! 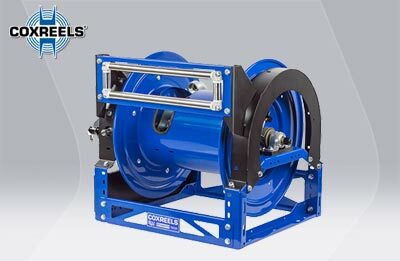 They are built tough like no other nozzle and are the only ones to offer a forged shutoff body and forged metal bale handle for maximum strength and Xtreme Duty! 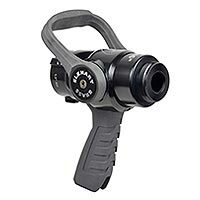 They feature a full round metal ball for the best stream performance and ergonomic grip inserts to help with handling. The new XD line has laser etched indicators and markings with no labels to peel off or scratch. Announcing the official release of the new Manual Extender. All of the stream elevating advantages of the Electric Extender, now in a cost-effective manual option. The Manual Extender is offered in four configurations, depending on your specific needs. John Simpson, Firefighter and Fire Instructor from Kissimmee, FL says "...over the years I’ve worked for a couple departments here in Florida. We’ve done flow tests and that’s the biggest thing - getting the gallons per minute that you need for the fire attack. We have found Elkhart to be more accurate in their flows than other manufacturers - being able to pump it at a lesser pressure and still getting that flow. With some of the other manufacturers you get kind of a smoke and mirrors type thing. But many of the departments I know that have switched to Elkhart along with mine have lined up the nozzles, compared flows and made sure they are getting the proper flows you need for today’s fire attack."